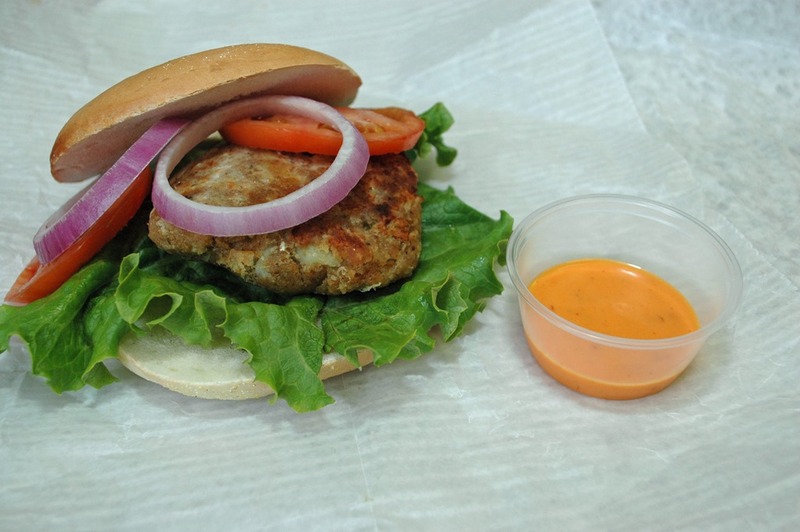 Tom & Suzie’s has begun offering an awesome crab cake bagel sandwich with Boom Boom sauce. 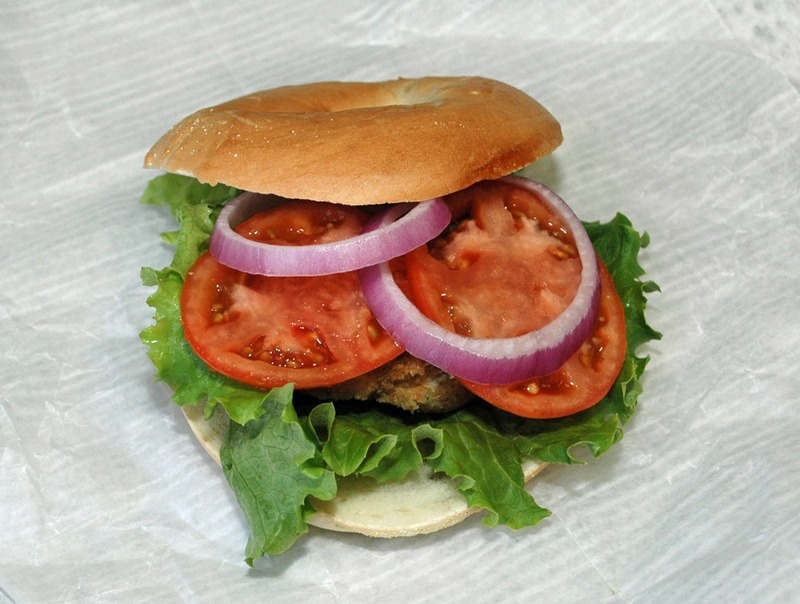 You can have any combination of the lettuce, tomato, and red onion standard order. They use ample lump crab with a nice ratio of regular and panko crumbs for texture and as a binder. I like how they have cut the center out of the bagel trimming it down so the bagel doesn’t overwhelm the sandwich. A full bagel with the crab cake would be too much for most people. 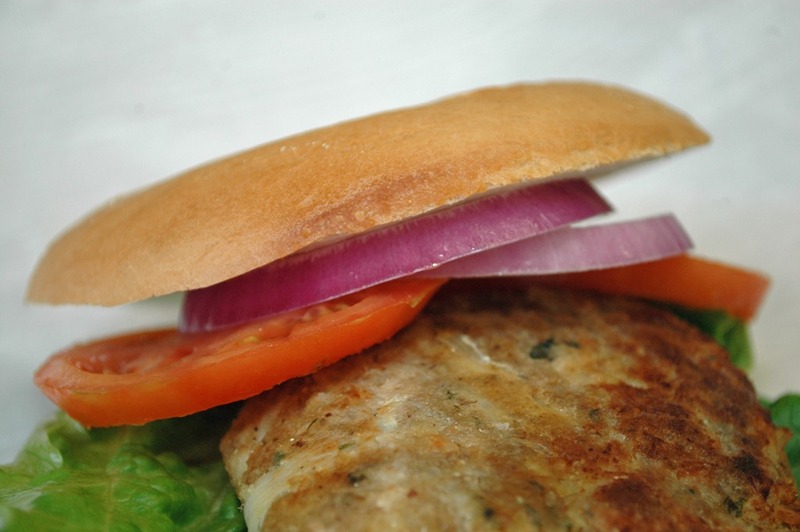 With the sandwich made to order you have the choice of any fresh bagel. The Boom Boom sauce makes the sandwich. 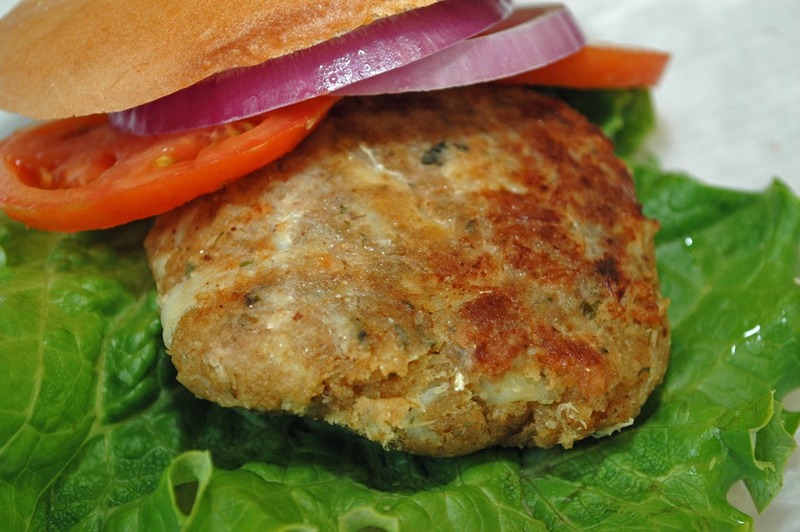 Often crab cake is served with traditional Tartar sauce. 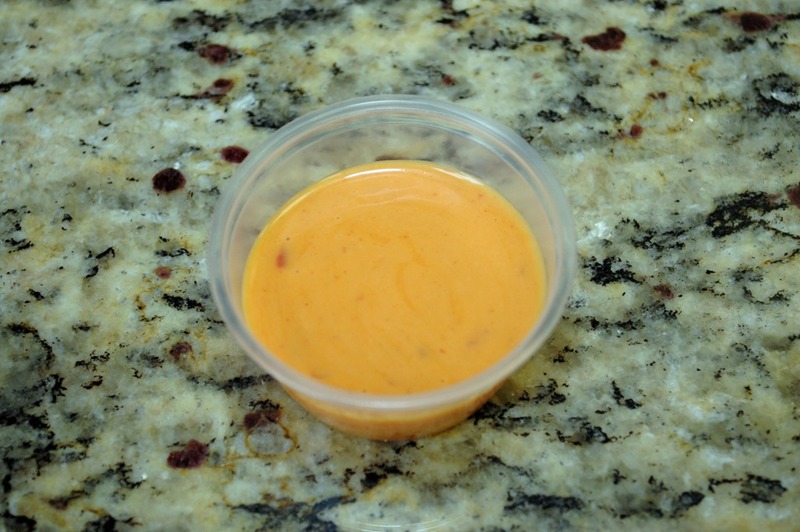 The Boom Boom sauce is a nice spicy aioli that sets the sandwich apart. They mix Dijon mustard and OLD BAY Seasoning into the crab cake so it comes with a little spice built in. I put all the sauce on my sandwich and came right to the edge of what I like. I recommend asking for the Boom Boom sauce on the side then drizzling it onto the sandwich as you go until you can gauge where it lands on your personal spice tolerance chart. But have some, it’s really is good.